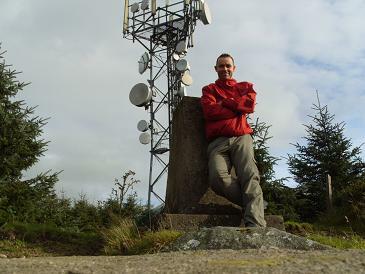 Picture from Dessie1 : Summit mast and pillar. Picture: Summit mast and pillar. Cupids arrow must be blunt! Climbed Cupidstown hill from access road on Lambs Hill O005 202 A.A couple of mins through a wide pathway leads to the summit and that is about the height of it! !